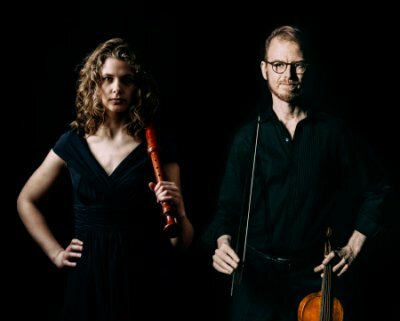 Baroque duo Dual Aura, comprising violinist Ben Dollman and Danish recorder player Monica Schmidt Andersen, invite the audience on an exciting journey exploring Celtic and Danish traditional folk music, as well as works by Telemann and Ross Edwards. Entry to this lunchtime concert is available at the door from 12:30pm. If you plan on attending most of the concerts, you could save up to 30% by purchasing a Gold Pass subscription!